The Purescape 026B is the middle-sized model in the 026 series, featuring a space-conscious footprint with all of the benefits of the smaller and larger 026 counterparts. 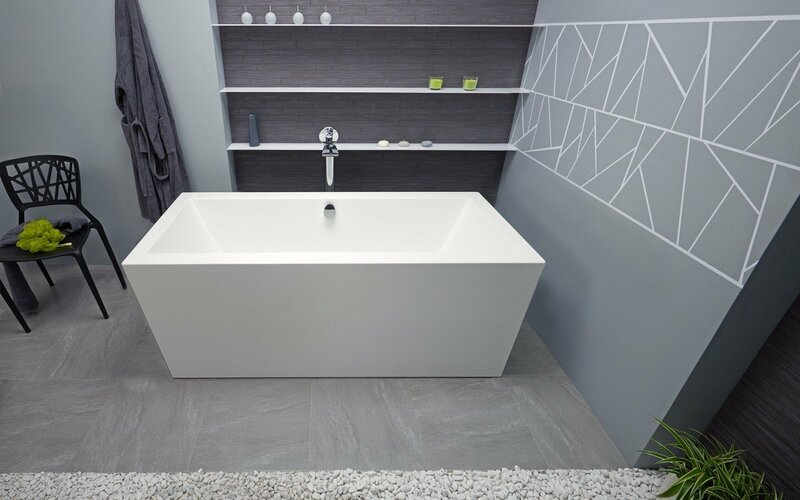 The modern, rectangular shape and slanted sides of this acrylic designed freestanding tub provides an ergonomically comfortable interior giving bathers a full body soak. Manufactured from the highest quality, sanitary grade precision acrylic sheets from Lucite International, allowing for unparalleled heat retention and durability. This line includes three different sizes ranging from 63 to 70.75 inches in length. 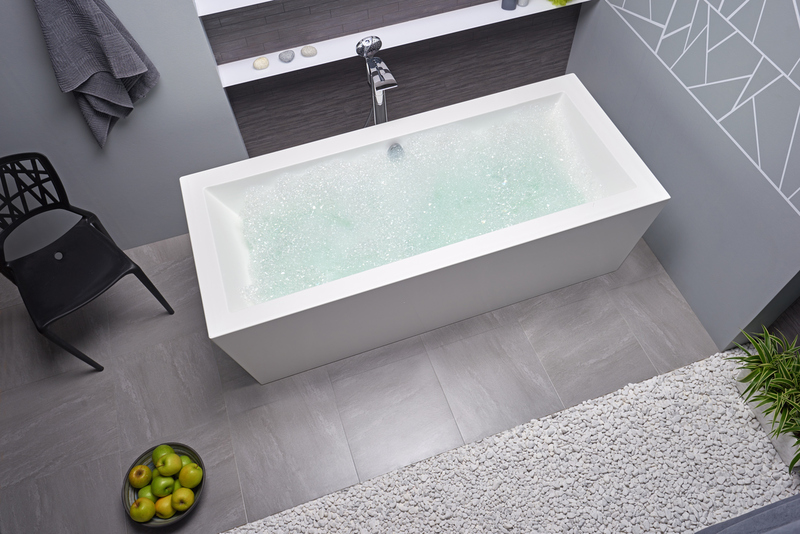 This tub looks amazing in our bathroom. Rich and modern. Easy to install! Nice shape, sturdy and very comfortable. If allowing kids to bathe in tub don’t allow plastic toys ( which cause marks) only foam. The tub is very high quality looks just like the picture. Also the tub came in a wooden crate / shipping container which provided very good protection during transit. First Class! 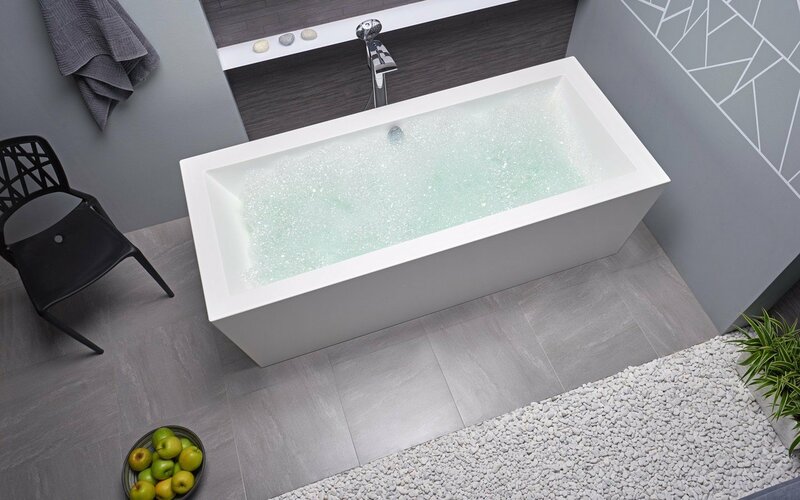 Searched for a rectangular freestanding tub for weeks until I found this. It's the perfect size, and looks beautiful in my traditional modern master bath.